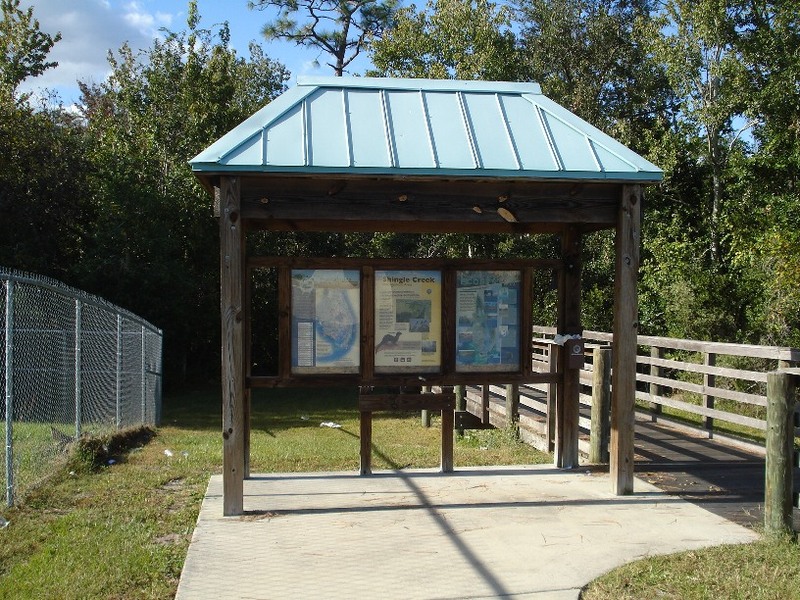 Now I will show you in the next few weeks my travels where I have visited the different Everglades Trail kiosks. I'll start with number 1, but it is not in the order that I visited them. I still have two more to visit! All the kiosks have a green roof. Some have a decorative heron weather vane on top, but I have found that fewer than most have that. Most of the kiosks are painted light gray, but I have found not all are. 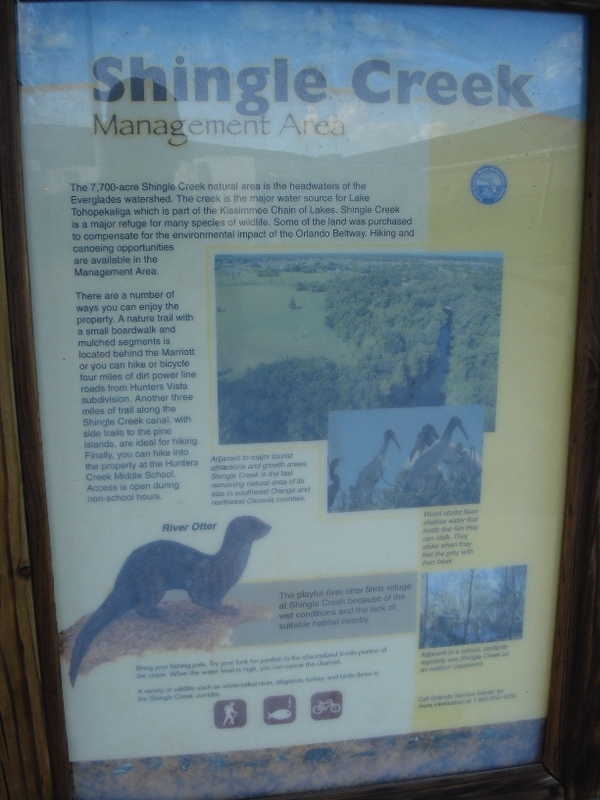 They have three panels, one describing the Everglades Trail with the different kiosks shown, one panel about the water flow of the everglades (It's all about water), and a site specific panel. I looked on Google Earth to find this one, and sure enough, the kiosk is behind the middle school, at the beginning of a boardwalk. I called the school to find out if it was accessible after school hours, because I did not want to go there when school was in session. I was told that it is accessible, and the best way to get to the site is to follow the bus route to the back of the school. 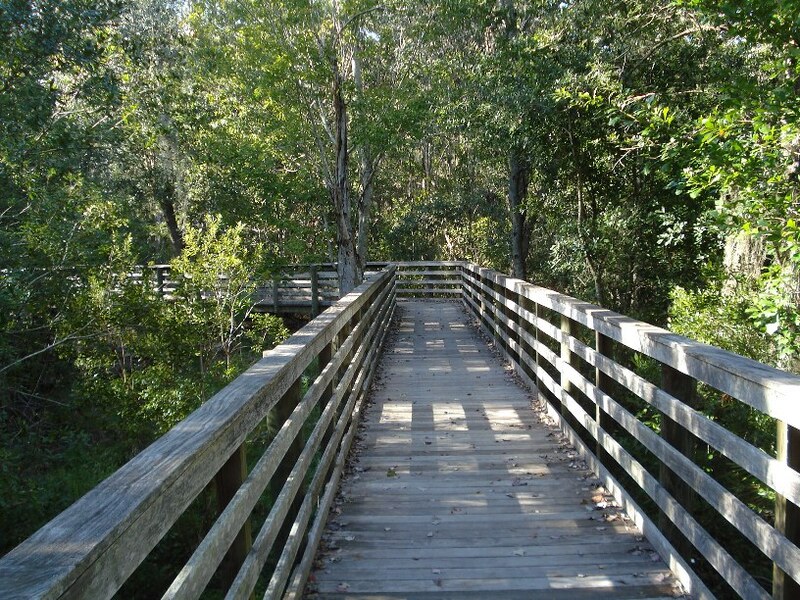 The school uses the park as an outdoor classroom, and there are over four miles of trails here. I stopped for a few minutes to reflect that I had just reached the headwaters of the Everglades, where I live on the other end at the Ten Thousand Islands, about 250 miles away. What looks like wilderness surrounding the area on a map is now all developed. We are choking off the source of water of the Everglades with urban development! The cypress trees lined the fast moving creek. A holly bush had red berries on it, but I don't think this is the dahoon holly that I am familiar with down south. The trees and environment in central Florida are so different than down south. 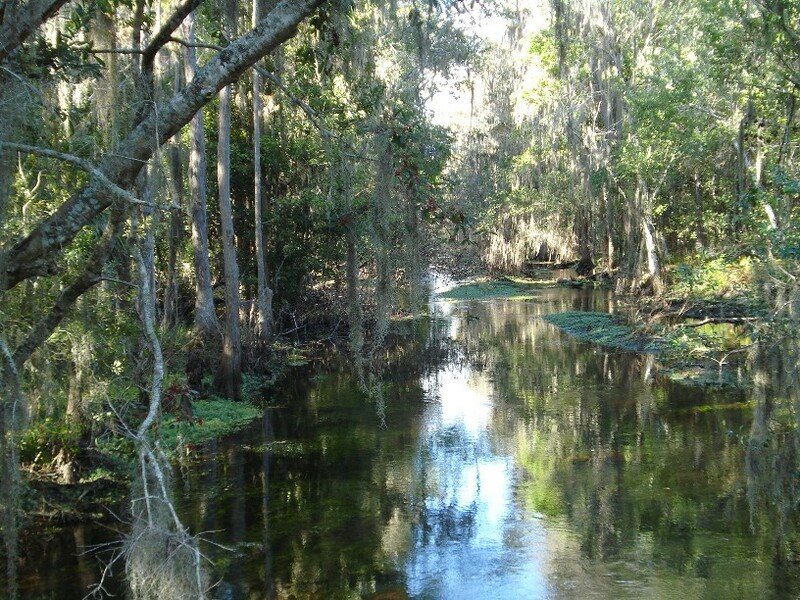 My old home where I grew up is in central Florida, so I was very familiar with all the trees and habitat up here. I love the central Florida swamps and hammocks--different than down south! I had a lot to learn when I moved down to Naples! Two different places in Florida have hardwood forests, but they are completely different with the types of trees, plants, and even some of the animals. Florida is one of the most diverse places on the earth!